I recently had a discussion via private email with a Protestant scholar of Church history on the reliability of the Church Fathers for understanding the beliefs and practices of the early Church. This is a pivotal point for discussion with Protestants, who can usually be classified into two categories, at least with regard to the Fathers: (1) those who are ignorant of the existence of the Fathers and naively believe that early Christianity was essentially Protestant in appearance, and (2) those who know very well of the Fathers and what they say but either reject their testimony or else pick and choose which elements of patristic theology they will accept (basically reading the Fathers through the context of Luther). In my experience, more and more Protestants are falling into group two, those who are familiar with the Fathers but disagree with us on the value of their testimony. This would be the category into which this Protestant fellow I was speaking with fell in to. The discussion I was having with this gentleman was actually an outgrowth of the research I was doing on my previous post regarding head coverings (see here) and we were talking about the value of patristic insight into the issue, which gradually shifted the whole conversation from head covering to the value of the Fathers in doing theology. (1) The evolution of Christianity as a form of Judaism which was (more than) open to admitting or "grafting in" Gentiles into a Christianity as a largely Gentile religion to be distinguished from Judaism. (2) The evolution of Christianity as a progressive and subversive challenge to social structures into Christianity as an upholder of said social structures. (3) The rise and dominance of the legalistic and ascetic strains within Christianity. (4) The formation of orthodoxy by way of the deselection and eventually the oppression of other expressions of those who claimed to be followers of Christ; or, to put it another way, the shift represented by the historical arc of Christianity from its First and Second Century welter among the welter of religious choices into a largely homogenized religion with residual welter pushed to the margins. (5) The rise of orthodox Christianity to a position of power under Constantine (d. 337), which flipped the Christian perspective from one of being temporally "the last" to one of being temporally "the first," to allude to Mark 9:35; 10:31 and parallels. The divide between Chrysostom and the New Testament was already a huge gorge, a veritable chasm. The least advantage that scholars have today is that many -- the vast majority, I hope -- are keenly aware of it. As we attempt to scrub away what can be scrubbed away of our own presuppositions in exegesis, it is important that among those presuppositions scrubbed away are those that have been passed down to us by John Chrysostom and other patristic writers. Rather than reading the New Testament through the lens of John Chrysostom, good exegesis of the New Testament in its own context should serve as a foil against which we can compare and contrast later interpretations. These are intelligent, well formulated responses (which I nevertheless disagree with); many Catholic theologians bring these very same points up if there is a dispute between the "Ancients and the Moderns" within theology. Let's look at these objections one at a time. The first point brought up is the Father's "insensitivity to different cultural and temporal horizons." 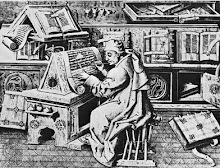 This means that the Fathers were reading the Scriptures in light of a different culture than that in which the Scriptures were composed (Greco-Roman versus Semitic); in other words, they didn't have degrees in cultural anthropology and therefore there was no way the Greek and Latin Fathers could get it right when looking at the Jewish Scriptures. According to this view, the Fathers would be interpreting the Scriptures in context of Greco-Roman thought whilst ignoring the differences between their own culture and that of the Jews, as well as changes in culture that arise from the passing of the centuries. Therefore, the interpretations of Scripture given by Fathers of the fourth or fifth centuries cannot be entirely reliable. "They then in like manner founded churches in every city, from which all the other churches, one after another, derived the tradition of the faith, and the seeds of doctrine, and are every day deriving them, that they may become churches. Indeed, it is on this account only that they will be able to deem themselves apostolic, as being the offspring of apostolic churches. Every sort of thing must necessarily revert to its original for its classification. Therefore the churches, although they are so many and so great, comprise but the one primitive church, (founded) by the apostles, from which they all (spring). 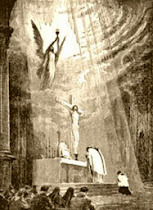 In this way all are primitive, and all are apostolic, while they are all proved to be one, in (unbroken) unity, by their peaceful communion, and title of brotherhood, and bond of hospitality—privileges which no other rule directs than the one tradition of the selfsame mystery" (Prescription Against Heretics, 20). "We are Parthians, Medes, and Elamites, inhabitants of Mesopotamia, Judea and Cappadocia, Pontus and Asia, Phrygia and Pamphylia, Egypt and the districts of Libya near Cyrene, as well as travelers from Rome, both Jews and converts to Judaism, Cretans and Arabs" (Acts 2:9-11). Rome was thoroughly acquainted with eastern culture, especially in the second and third centuries where it is most accurate to look at the empire as a single cultural entity rather than impose divisions between east and west on it that it did not take on till later. 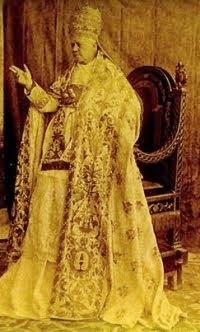 "[T]he Holy Fathers, We say, are of supreme authority, whenever they all interpret in one and the same manner any text of the Bible, as pertaining to the doctrine of faith or morals; for their unanimity clearly evinces that such interpretation has come down from the Apostles as a matter of Catholic faith. 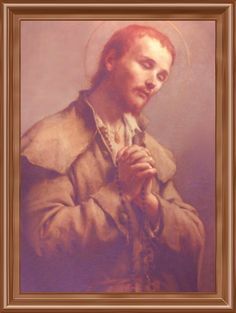 The opinion of the Fathers is also of very great weight when they treat of these matters in their capacity of doctors, unofficially; not only because they excel in their knowledge of revealed doctrine and in their acquaintance with many things which are useful in understanding the apostolic Books, but because they are men of eminent sanctity and of ardent zeal for the truth, on whom God has bestowed a more ample measure of His light. 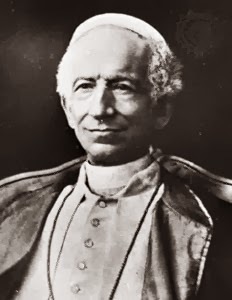 Wherefore the expositor should make it his duty to follow their footsteps with all reverence, and to use their labors with intelligent appreciation" (Pope Leo XIII, Providentissimus Deus, 14). 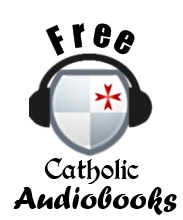 "In the accomplishment of this task the Catholic exegete will find invaluable help in an assiduous study of those works, in which the Holy Fathers, the Doctors of the Church and the renowned interpreters of past ages have explained the Sacred Books. For, although some less instructed in profane learning and in the knowledge of languages than the scripture scholars of our time, nevertheless by reason of the office assigned to them by God in the Church, they are distinguished by a certain subtle insight into heavenly things and by a marvelous keenness of intellect, which enables them to penetrate to the very innermost meaning of the divine word and bring to light all that can help to elucidate the teaching of Christ and to promote holiness of life" (Pope Pius XII, Divino Afflante Spiritu, 28). "Observing the boldness of Peter and John and perceiving them to be uneducated, ordinary men, they were amazed, and they recognized them as the companions of Jesus" (Acts 4:13). Note that, despite their lack of formal education, the fact that they had "been with Jesus" gave them boldness and insight into the Faith. 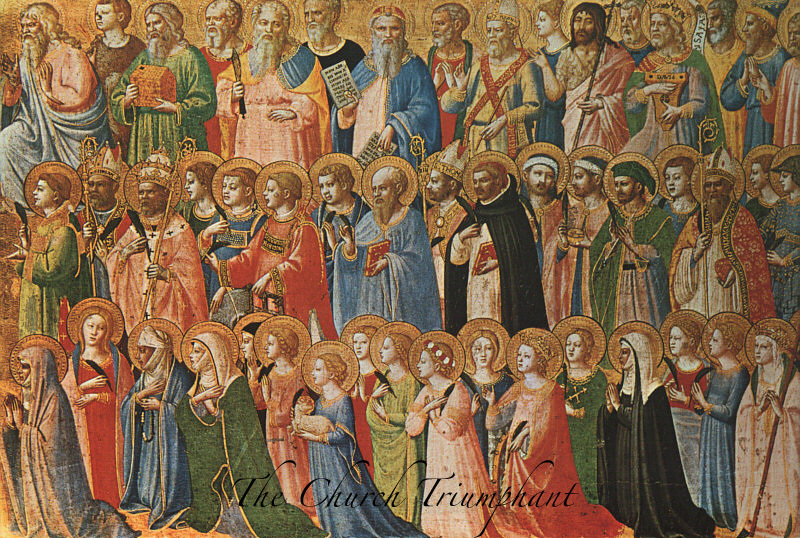 As it was with the Apostles, so with the saints and Fathers. Well, in this first post of the New Year we have answered one of the seven objections. Perhaps by New Year next I shall have gotten through all seven! I am confused about your interactions with Protestants. Of course, the Fathers were diverse, and more Eastern than Western given the predominance of early Christian centres in the East, etc. But, back to the point. First, I have never met a Protestant who knows the Fathers and claimed Luther to be consistent with them. Second, the earliest Fathers (say, up to Augustine) in no way support Catholicism over Protestantism--except in the matter of Luther's unfortunate faith/works dichotomy. For example, apart from an early legend, there is NO exaltation of Mary. There is not a single clear reference to prayer to the saints, and there is no Pope in the Romish sense (indeed that's MUCH later and mostly, as well as superstitiously, based on Peter and Paul's martyrdoms in Rome), etc. 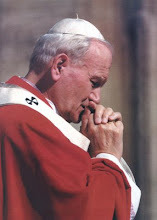 In fact, it is the Catholic who reads his tradition back into the Fathers. Let's take prayer to the saints as an example. Origen supposed the saints in heaven MAY pray for us. Later, Augustine held this to likely be the case, but even then no such practice exists among any known orthodox leader. BUT, Catholics read their medieval paradigm back into Augustine rather than acknowledging the painfully obvious evolution from doctrinal non-existence (indeed, Paul should've called on Elijah or Moses given his challenges! Or Ignatius of Antioch to Paul! ), to GROWING SPECULATIONS such as Origen's to Augustine's to well....,finally,.... a full- blown adaptation of pagan sensibilities baptized as Christian--AND the religious hallmark of Rome. Further to the point, let's consider the equally evident aberrations surrounding Virgin Mary. Indeed, Chrysostom accused her of sinful pride when requesting her son to magically provide wine to wedding guests. Mary is not "Our Lady" to a single Patristic Fathers! But alas, over time, she evolves. More than that, becomes the pagan "Queen of Heaven." Nothing less than a baptized Isis in faith, iconography and all. Nonetheless, Protestants who apparently cannot read plainly worded Patrisitic letters and commentaries are bemoaned for inexperiencing such "fullness (better, foolishness) of the faith." Well, fullness might be an accurate term if synchretism is what you mean. For, NOTHING, no NOTHING, can be more clearly evidenced than what the Patristic Fathers believed concerning these particular controversies. In this way, NO road leads to Rome. You're interlocutor is approaching the Scriptures at a natural level, using a false and rationalist kind of exegesis; you are right to point out that the sanctity of these Greek fathers means that they participate intimately in Christ, and know how to understand the Scriptures that Christ inspired. These infinietly outweighs any natural cultural considerations. He says "The formation of orthodoxy by way of the deselection and eventually the oppression of other expressions of those who claimed to be followers of Christ." This ignores the harsh attacks on heresy in the Scriptures themselves, such as in Jude, 2 Peter, and in St. Paul's Epistles. They make it quite clear that the early Christians already tried to suppress false corruptions of Christianity. You are reading the Fathers like a Protestant - it is not necessary that all Catholic dogmas and practices be found in the Fathers explicitly; it merely suffices that they are found in seed form, that the preliminary principles are there. I readily admit that saints my not have been explicitly invoked until later, the age of the martyrs, but as it is based on other principles which are found in Scripture and Paul, it is a legitimate development of doctrine. Doctrine develops from preexisting belief and practices (though not changing essentially). 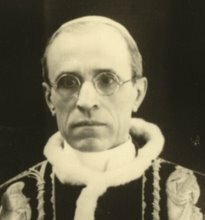 Read Newman's essay on development of doctrine. It is not true that all practices not explicitly found in the Fathers are illegitimate. Besides, all Roman Catholic beliefs are found in the Fathers, unless you are inventing some fake distinction between pre- and post- Nicene Fathers. Ultimately, opinions like those of your colleague (focusing on cultural sensitivities, political structures, etc.) make revelation itself a worthless exercise. To us these days, at least. Since nobody now could ever have the experiences sufficient to understand the Gospel in same context as those to whom it was originally revealed, we can't know or understand anything correctly. We are orphans. On the contrary, the Fathers exalted Our Lady very highly indeed. Well that sure sounds like exaltation of Mary to me! St. Athanasius the Great: ""O noble Virgin, truly you are greater than any other greatness. For who is your equal in greatness, O dwelling place of God the Word? To whom among all creatures shall I compare you, O Virgin? You are greater than them all O Covenant, clothed with purity instead of gold! 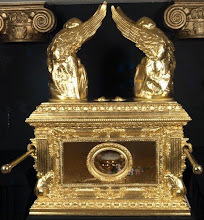 You are the Ark in which is found the golden vessel containing the true manna, that is, the flesh in which divinity resides." If you need patristic proof of the Roman Primacy, read Bellarmine.